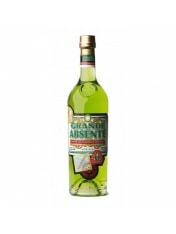 The history of absinthe is a cocktail of myth, conjecture and controversy. A turn-of-the-twentieth-century favorite of artists and writers, the spirit was banned in the United States in 1912 because it was believed to be hallucinogenic. 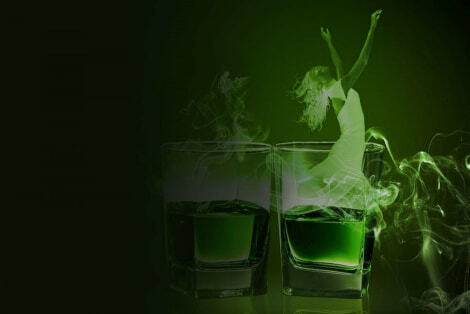 Just a few years ago, it once again became legal in America to buy the high-alcohol, anise-flavored liquor. 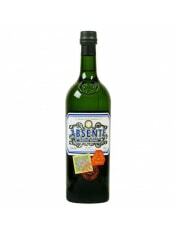 The term “absinthe” comes from Artemisia absinthium, the scientific name for its key ingredient, wormwood. Long before distillers discovered it, the herb was used for medicinal purposes. The production of absinthe is much like that of gin: High-proof neutral spirit is infused with a blend of botanicals, including wormwood, and redistilled. Traditionally, the alcohol is infused a second time before bottling to intensify the flavor and create the signature green color. Many modern producers skip this final step and use dyes instead.